These prices reflect project cost. Please call us for more information on pricing for your project. 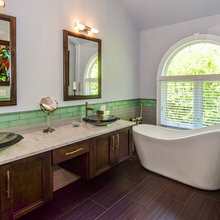 Reliable did our bathroom remodel several years ago. One of the soft close on a drawer in the vanity broke and I called Reliable to figure out how I could get replacement parts. Beth said she could coordinate it for me and then called back and said they would take care of everything including cost and installation. 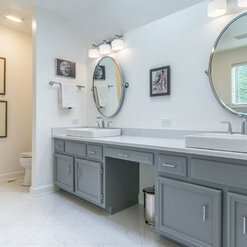 So glad we picked a company that not only did a great job on the bathrooms but also continued to do a great job past the initial installation. To us, the sign of a company that we want to do business with is their post-sales service. 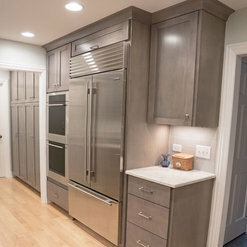 Reliable did a kitchen remodel 3 years ago and we recently needed to have some cabinet doors tightened / adjusted. Beth at Reliable immediately arranged for the cabinet company to come out and take care of us. It is this type of attention that keeps us coming back to Reliable. We have had the pleasure of working with the Reliable team on many projects over the past several years. Their attention to detail and dedication to their clients is second to none. 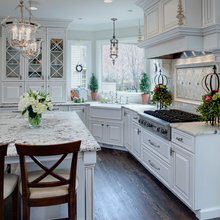 Regardless of job scope, you will be happy with the results if you work with Reliable Home Improvement. Thank you for taking the time to review us! Partnering with companies like yourselves is a big part of making dream homes a reality for our clients. Looking forward to more successful projects in the future. Thank you for taking the time to review our company! We have enjoyed working with the both of you on each one of your beautiful projects. We are so grateful to be included in helping make your dreams come true! If there is anything you need please do not hesitate to give us a call. 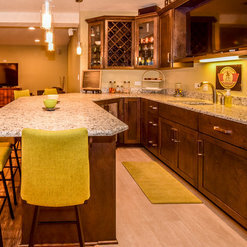 We had Reliable do a complete kitchen remodel in October of 2014. 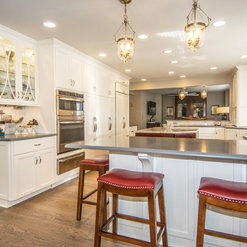 For us, it was an extensive project; removing walls, adding walls and adding additional cabinet space. The entire process was on time and met the budget we were given at the beginning, no surprises. This was great but even better is the after sales support we receive. We have had a couple of minor issues with the flooring & cabinetry. Every time we called, Reliable sent a service tech to our home to address the issue. The last time was 9/26/17, almost a full 3 years after the job was done. The tech came, resolved the issue and was gone in 15 minutes. No charge for this service. We have been very happy with our choice to go with Reliable and would do it again. Thank you so much for taking the time out to write a review on our company! It has been awhile and glad to hear all is going well. We take pride in standing behind our work so please do not hesitate to give us a call if something arises! Stop on by the showroom to say hi when you get a moment and to check out all of the updates we recently did! 2 years ago my wife and I decided to add an addition to our house, building over the garage. I vetted 3 companies for this project based on both price, design, and ability deliver ontime and on budget. Most estimate were considerably larger than we expected for the amount of space we were adding. Reliable was the only one that helped make some suggestions to simplify the project, which reduce3d the cost into our budget. They helped us every step of the way and completed the project within a few days of the original target - which in the construction world is almost never heard of. 2 years later, we had a window get a crack in it. 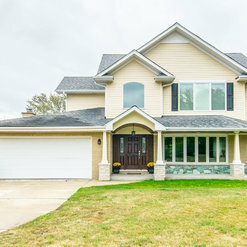 Called Reliable - they called Pella and a new window was installed quickly. I would recommend them to anyone! Thank you so much for taking the time out to review our company!! It was a pleasure working with you and your wife on your project; which is gorgeous none the less! We are always here to help our past customers so if anything may arise please do not hesitate to give us a call! 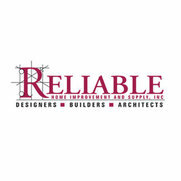 We used Reliable to remodel our home about 8 years ago and had a great experience. 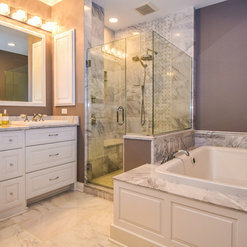 Recently, I had a water leak that I thought was coming from the master bathroom that Reliable had done for us. When I called them for help, Reliable sent someone from their office to check it out -literally within 30 minutes of my placing the call. They arranged for a plumber to come assess the problem that afternoon! It turns out the problem was NOT from the remodel, but from an old shower in another bathroom. I could not be more impressed by the customer service and quality of work done by Reliable! Thank you for taking the time out to write us this beautiful review Mrs. Yost! We were happy to help and if anything arise's in the future please do not hesitate to give us a call! 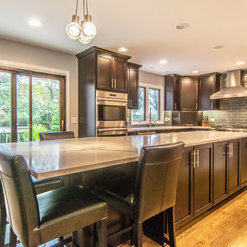 We did a very extensive kitchen remodel and then came back 2 years later for a screen room addition. Both are beautiful! They are very Reliable with the products they use and the workers they hire! Hello Mrs. Beck, thank you for taking the time out to review us! As always it is a pleasure working with you on your gorgeous projects! Stop in the showroom in a few months we are getting ready to do a complete re-haul on the vignettes and can't wait to show them off! When we were ready to do a major renovation of our master bed/bath/closet, we wanted to be creative with the space, knew we needed professionals who could guide us, and yet we had some ideas of our own! We met with and got quotes from 3 large companies in Naperville. 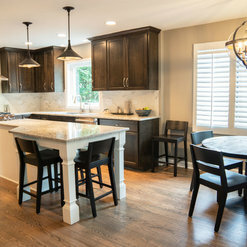 We ultimately decided to use Reliable Home Improvement for two reasons... 1) the promise of a timely, efficient process to get our home finished as quickly as possible, and 2) after seeing different ideas from each company, Reliable ultimately listened to the ideas we had and set out to make that a reality. We were so pleased that not only were they on time daily and on schedule for the project, but that the people doing the work were so outstanding. The tradespeople that Reliable employs are friendly, courteous and immensely talented! 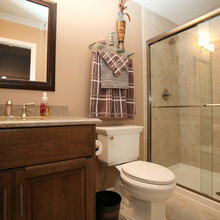 We love the finished product, and would look to Reliable again for our next major home improvement project! Thank you so much for taking the time out to write us a review. It was a pleasure working with you and your husband and your project came out beautiful! We look forward to working with you in the future and if you ever need us do not hesitate to give us a call! ★★★★★ What Can I Said About This Company, The Name Of Their Company says it all "RELIABLE HOME IMPROVEMENT"! They turned our deck into the most AWESOME, 4 season sunroom! Yes we can use this room year around. The Sun just shine through! 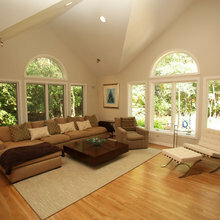 A great room to read in! We still had enough room for a deck too! Yes they improved our home! They were very reliable! They even clean up their mess and the my whole house too! Thank You all so much. Thank you for taking the time out to review our company it means a lot to us! We are so glad you are able to utilize this space all year around now! You're very welcome and if there is anything you need in the future please do not hesitate to give us a call. Thank you so much for taking the time out to review our company! It was a pleasure working with you both and we are happy we were able to give you some options you had not thought of. 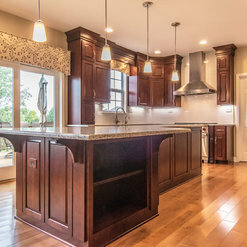 The kitchen is absolutely gorgeous and we look forward to working with you in the future! 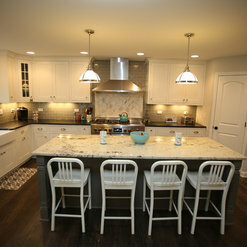 Our new kitchen is just beautiful, everything I had imagined and more! The project was a complete gut of an old, worn and tired room and it included a new layout resulting in a much more efficient and inviting space . Reliable Home Improvement was the only company of those we contacted who said they could remove a wall between the kitchen and the dining room--a high priority on our wish list. The open space has transformed the first floor of the house and has made both rooms so much more welcoming. The staff at RHI listened to our ideas and wishes and worked with us to make them happen. Their response time both during and since the project has been exceptional; customer service is a valuable component of this company. RHI also gutted and re-designed our poorly laid out laundry room and they replaced the original tile in the entryway. Without reservation, I recommend RHI and would hire them again. Thank you for taking the time out to review our company! We are so happy that we were able to bring your dreams to reality! If there is anything that arises please do not hesitate to give us a call and we look forward to working with you in the future. 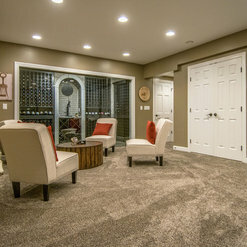 Commented: do you know where i might find a similar rugNo, I am sorry but we don't know where to find the rug.